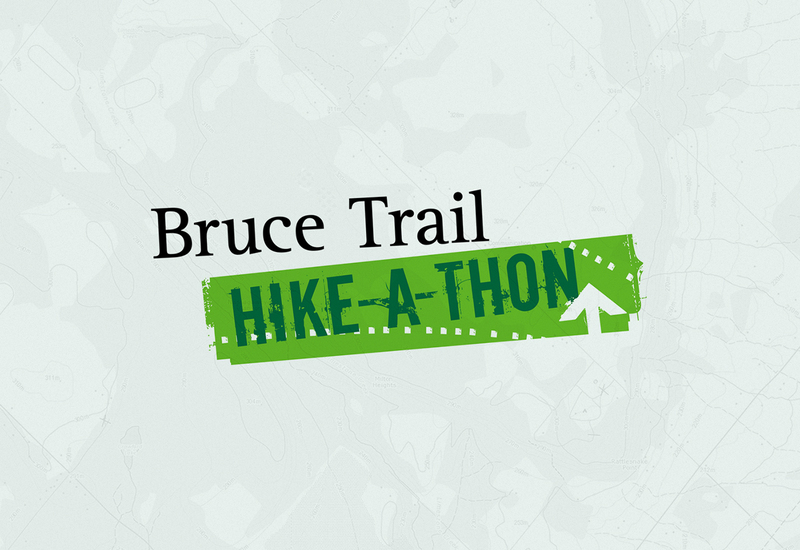 Running for for more than 890km along the Niagara Escarpment, the Bruce Trail is Canada’s oldest and longest marked footpath. The BTC is committed to protecting the beautiful landscape and natural ecosystems that can be found along the trail’s length. As a charitable organization, the BTC relies heavily on the generosity of its members, volunteers and donors. The Toronto arm of the BTC approached Studio Rationale in order to create an identity and supporting materials for their first Hike-a-thon event. The identity itself had to incorporate elements of the BTC identity and appeal to hikers young and old. 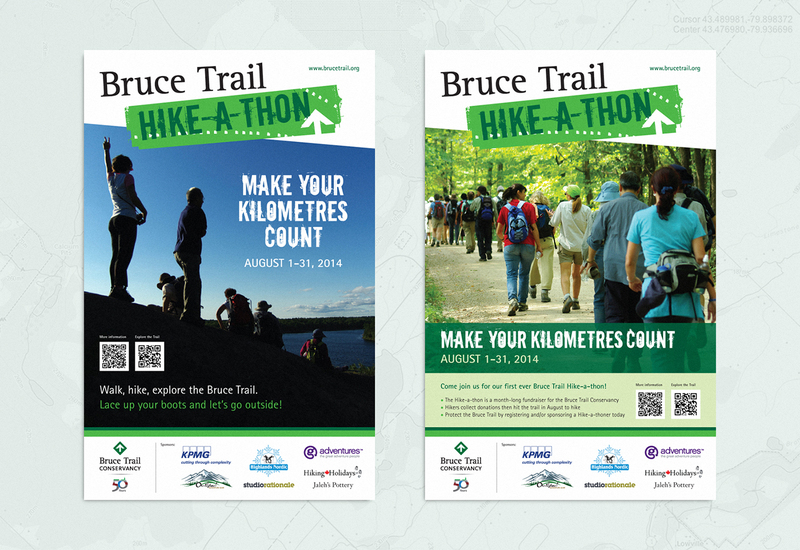 Held in August 2014, the event was a huge success and raised over $17,000 for the Bruce Trail Conservancy. Visit brucetrail.org to find out more about the wonderful work the BTC is engaged in, and how you can help.